Championship side Millwall have been granted permission by the league and its sponsor Euroferries to wear a special kit for their meeting with Brentford. 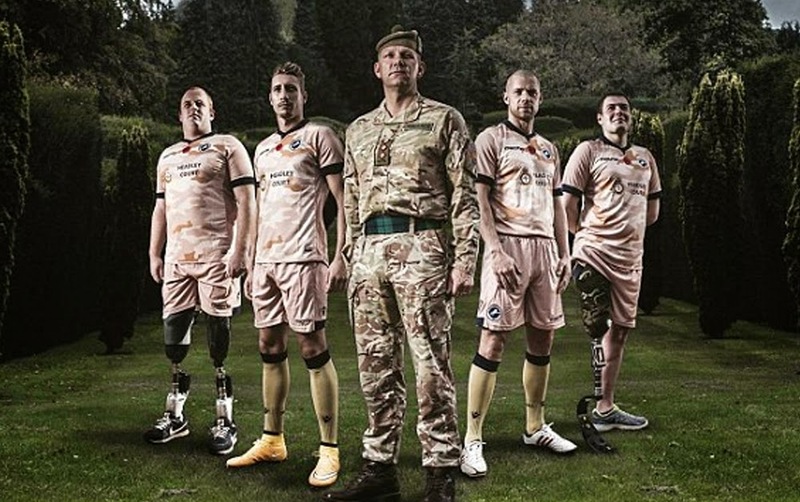 The special camouflage design shirts emulate the uniforms of British soldiers and will have the name of Headley Court across the chest, a rehabilitation center for injured soldiers in Surrey. As of today, Millwall supporters and any one else looking to help can pre-order the shirt via the club's website. The Lions are looking to raise £20,000 for this special cause. 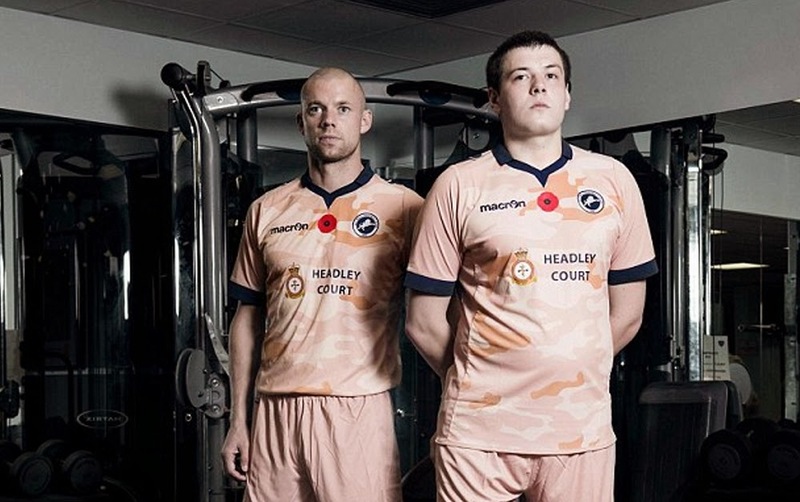 The one-off kit will be worn by the players as part of Remembrance weekend. Millwall's manager Ian Holloway volunteered his voice for the official commercial of the initiative, reciting a World War I poem by John McCrae.